I saw this on my twitter feed this morning and new I had to post it quickly on my lunch break. It’s so stinkin’ darling! 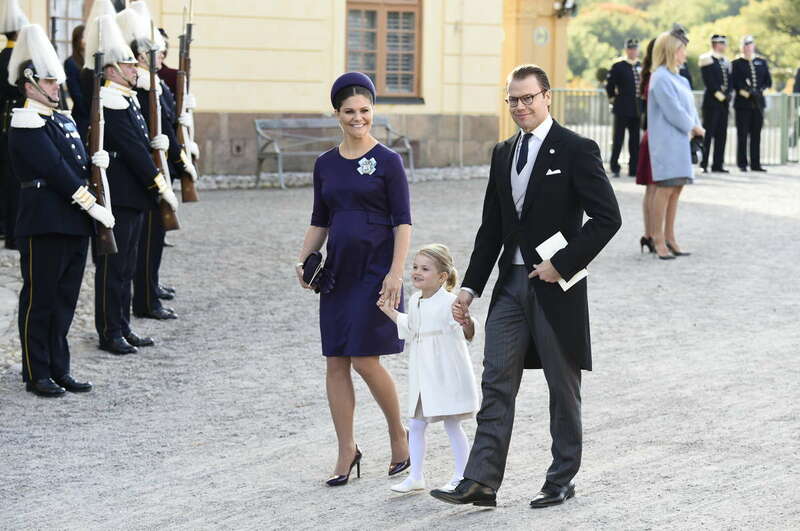 Crown Princely Couple of Sweden expecting baby no. 2! When I read the news last Saturday, I squealed with joy. 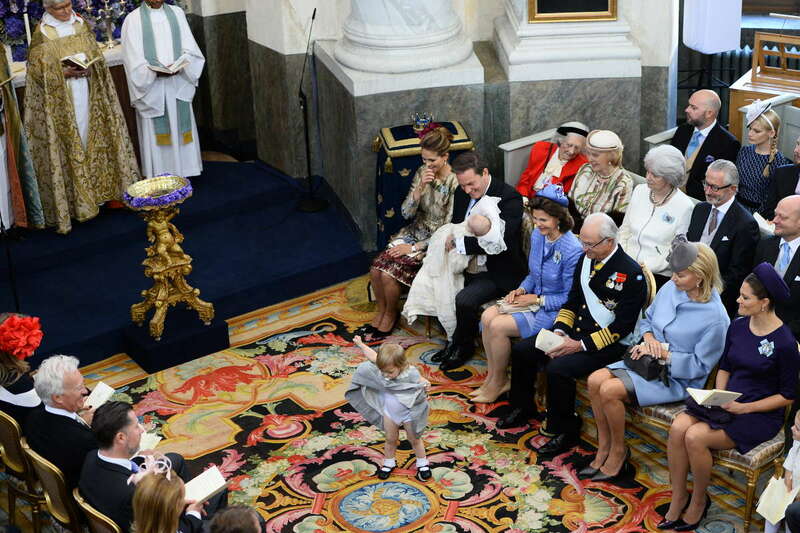 Crown Princess Victoria and Daniel seem like absolutely doting parents with Princess Estelle, and I’m sure she will be an enthusiastic big sister, to say the least! Congrats to them, congrats to Sweden! 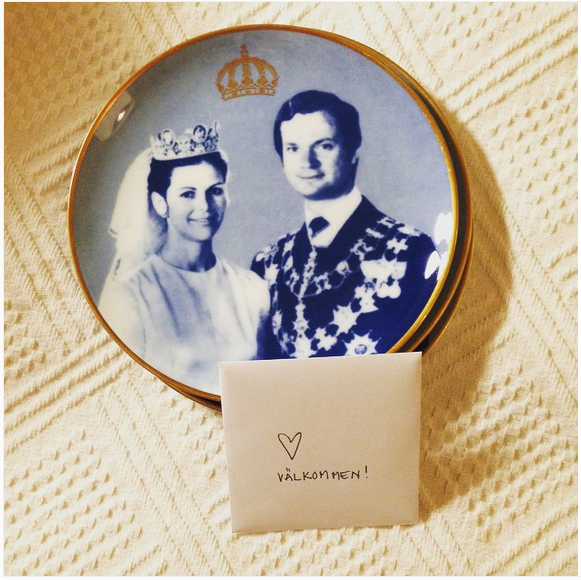 When I moved back to Germany last October, I made a vow (pun intended) to myself that I would make it to a royal wedding, and lucky for me a longtime blog friend who lives in Stockholm kindly offered to host me. So, back in January I submitted my vacation requests for the summer—shoutout to Germany’s generous allotment of vacation days, 28 for me per year! 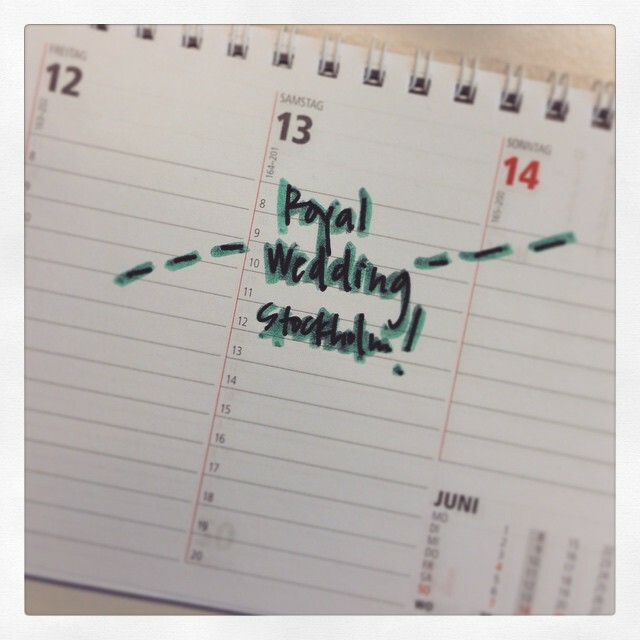 My coworkers laughed it off, they couldn’t believe i was literally going to Stockholm to see the Swedish wedding. Side note: Hey to all my coworkers reading this right now. 😉 So glad that this little blog made its rounds through the office mail (HA!) I’m only a little bit embarrassed, except not in the least. Two months ago I bought my tickets to Sweden and that was that. I arrived in Sweden last Thursday and immediately fell in love with everything. And then I met my longtime blog friend and she gifted me the plates shown above. I screamed with joy. 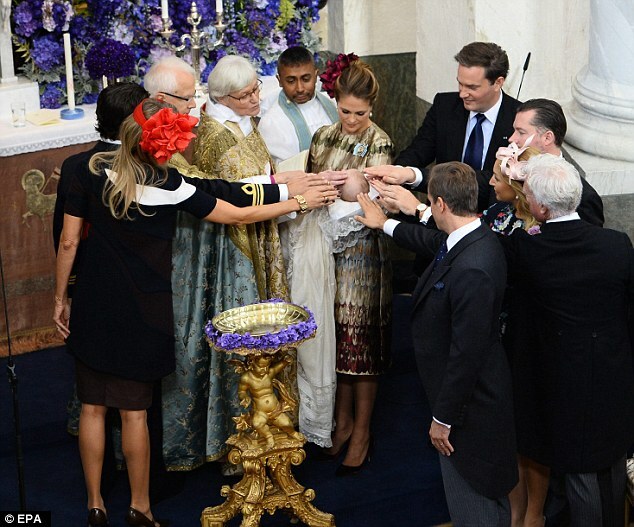 These plates are a big deal to me on so many levels, first of which, HELLO, ROYAL MEMORABILIA. Secondly, I just moved into my very own first-all-mine apartment and have approximately no things. These plates are my first grown-up-household-gift. And lastly, I’m so flattered that my friend would bestow them to me, I’ll have them forever, and forever be thankful for her kind gesture. 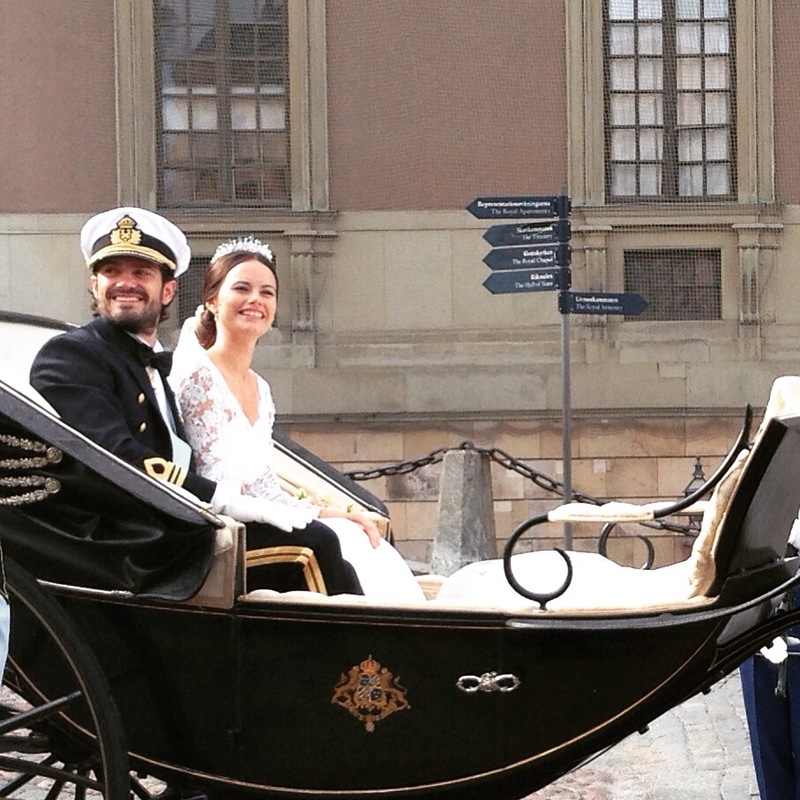 That time I went to the Royal Wedding — Sweden Edition. I’m currently bumming off free wifi in a Stockholm cafe, but was too excited not to share this snap I took yesterday! 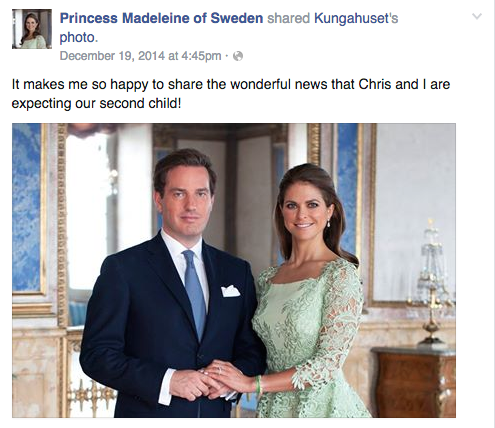 I literally screeched when I saw the news that Princess Madeleine and her husband are expecting. I was far more excited than I was upon hearing Kate’s pregnancy — not that I’m not excited for Kate, I’m really happy for her! — but I really love Madeleine and I know how much she has gone through the past few years, so it’s great to see her genuinely happy. 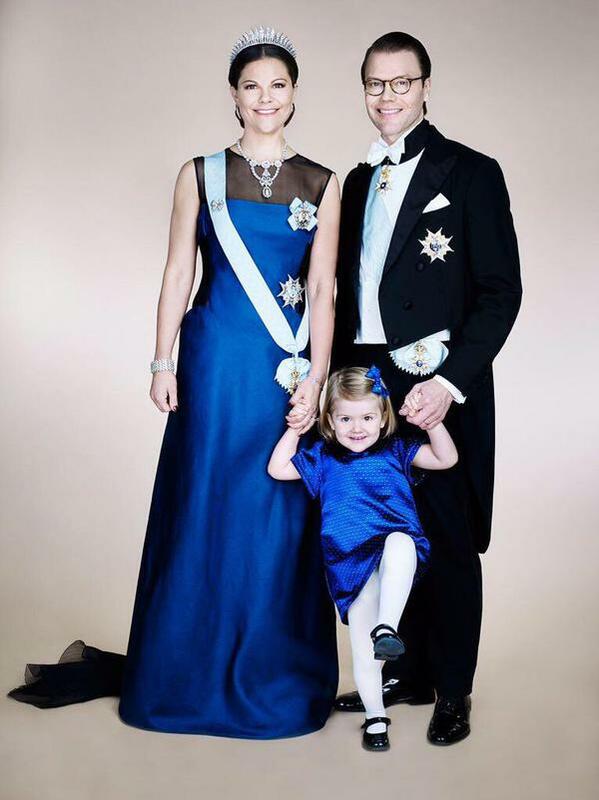 But I do feel a bit for Crown Princess Victoria, especially if she is trying for a baby, as well. We will see! I didn’t want to muck this post up with the recent royal scandal, but I will write more about that in the next few posts, but let’s keep this post happy and fresh! It’s a new year, after all! So cheers to a new year! I hope it’s great for you and yours!